Take your most recognisable marketing asset to a whole new dimension by investing in some logo grass branding for your business, club or organisation. Be it indoors for the corporate office space or welcome mat, or outside as part of a larger artificial grass installation or as a standalone display, a synthetic grass logo will be sure to attract attention! With your logo on show for everyone to see, our custom logo mats make fabulous promotional tools for commercial areas and sales events. The simple but striking way it will showcase your identity makes it a cost-effective marketing tool for creating great brand awareness. A logo mat is easily and readily transportable and can be used over and over again. From footy fields to tennis courts or simply outside team headquarters, logo mats and logo grass are becoming more common place. 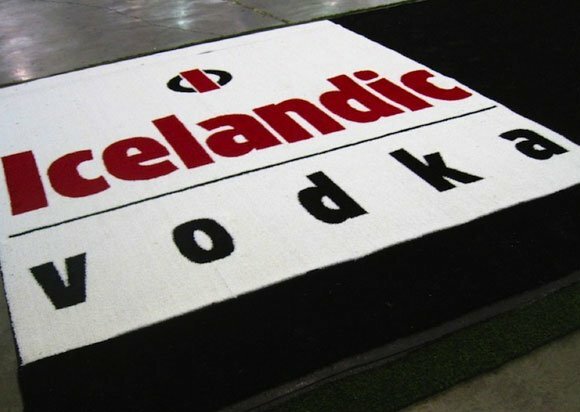 Surface-it custom logos can range from just a couple of square metres up to 40m in length and 4m in height. The larger the logo the more attention it commands and the more visible it becomes, excellent for televised events and media exposure. 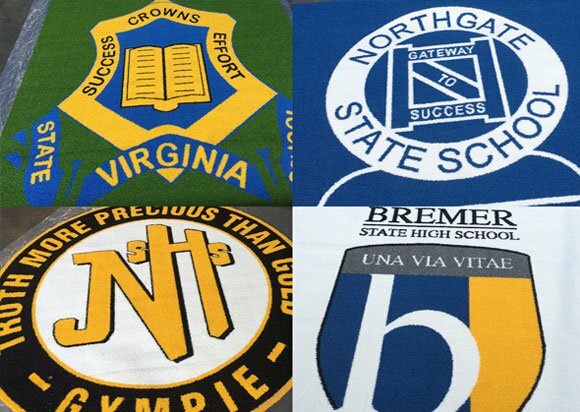 Our custom grass logos can each be manufactured in up to six colours and various sizes. Design can be finalised and proofs provided on the basis of receiving hi-res Jpeg artwork files. Manufacturing and delivery takes approximately four weeks but is dependent on timing of confirmation of artwork, placement of order and the size of the order. All Surface-it Custom Logo Grass is manufactured from 13mm cut pile, texturized, monofilament, UV protected polyethylene yarn with either a reinforced fleeced polypropylene backing or with a 6mm polyurethane foam cushion, which can be perforated for drainage. All designs are fully tufted with the individual coloured yarn which means that there is no wearing or blurring of the colours over time. Product is sold with a genuine 4-year manufacturer’s warranty.